The series was never a ratings breakout but received strong critical acclaim and developed a cult following after its cancellation, with both Thomas and Bell often talking of continuing the show. Kristen Bell as Veronica Mars in the "Veronica Mars" movie.Warner Bros. The planned "Veronica Mars" revival has officially been picked up at Hulu. 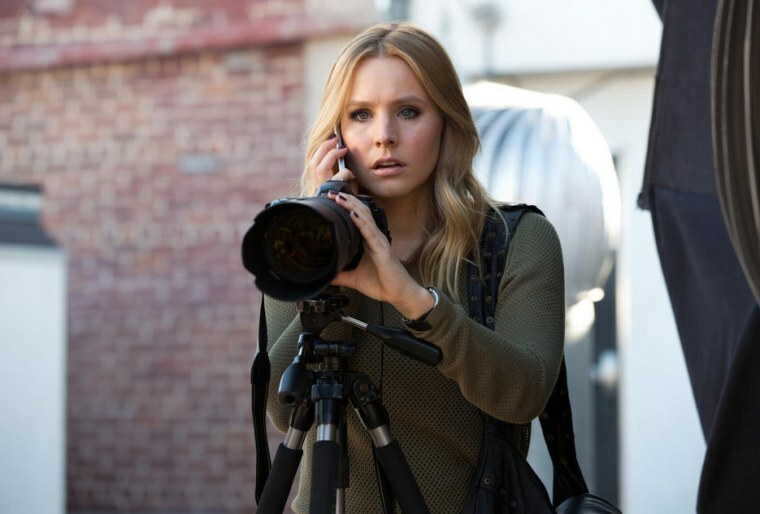 The series, which will see the return of Kristen Bell as the title character, will consist of 8 episodes and is slated to debut in 2019. Bell made the official announcement Thursday on Instagram. News of the revival first broke in August. As part of the deal, Hulu has also struck an agreement with Warner Bros. Domestic Television Distribution for the SVOD rights to all past episodes of the original series. Seasons 1-3, as well as the 2014 feature film, will be available to stream next summer. In the new installment, spring breakers are getting murdered in Neptune, thereby decimating the seaside town's lifeblood tourist industry. After Mars Investigations is hired by the parents of one of the victims to find their son's killer, Veronica is drawn into a mystery that pits the enclave's wealthy elites, who would rather put an end to the month-long bacchanalia, against a working class that relies on the cash influx that comes with being the West Coast's answer to Daytona Beach. Original series creator Rob Thomas will executive produce and write the first episode. Bell will also executive produce along with Diane Ruggiero-Wright and Dan Etheridge. Thomas' Spondoolie Productions will produce in association with Warner Bros. Television. The series was never a ratings breakout but received strong critical acclaim and developed a cult following after its cancellation, with both Thomas and Bell often talking of continuing the show. In 2013, Thomas and Bell announced they were launching a Kickstarter campaign to fund a feature film continuation of the series. The campaign raised nearly $6 million by the time it concluded, well above its initial $2 million goal.